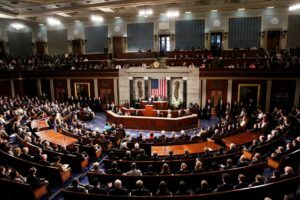 The Polisario and its mentor Algeria were dealt a big blow last week with the adoption by the US Congress and proclamation by President Donald Trump of the 2017 Appropriations Bill. Much to the separatists’ annoyance, the Law stipulates that funds made available for assistance for Morocco shall also be made available for any region or territory administered by Morocco, including the Western Sahara. More than this, the accompanying report explaining the provisions of the FY 17 Appropriations Bill, clearly reaffirms the support of the US Congress to the Moroccan Autonomy Plan in the Sahara. According to the report, the Congress believes that “the Secretary of State (Rex Tillerson) should continue his efforts for a negotiated settlement to this dispute, consistent with US policy to support a solution to the issue based on a formula of autonomy under Moroccan sovereignty “. The same report calls on the Trump administration “to support private sector investment in Western Sahara”. The law also requires the Secretary of State to submit to the Committee on Appropriations a report, within 45 days, “describing the steps taken to strengthen monitoring of the delivery of humanitarian assistance provided for refugees in North Africa”. The reference is clear. It concerns the population of the Polisario-run Tindouf camps in Algeria. This is not the first time the Congress has been interested in the situation of the Tindouf camps. Last June, a majority of Congress members wanted to include in the FY17 bill the need for a census of the camps population. But Algeria’s reaction was not long in coming. Its ambassador in Washington hastened to send a letter to Betty McCollum, a member of the Congress on June 24. In his letter, the Algerian diplomat said: “The embassy of Algeria does not understand or accept this inappropriate reference to Algeria”. The Algerian lobbies in the United States then took over to prevent any reference to the Polisario-run camps in Tindouf.